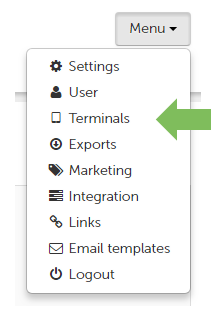 Click on “Menu” and then on “Terminals”. Select the respective survey under “Feedback process”. Since this is linked to the feedback form, the terminal automatically displays the corresponding questions.